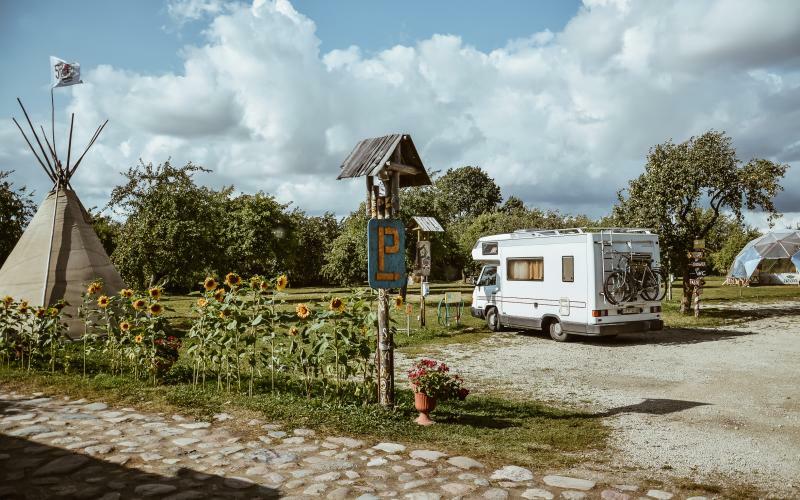 Sunny Nights Hostel & Camping grew from a 100-year-old post office to a homestead with a beautiful lush apple garden suitable for relax, celebration or picnic. 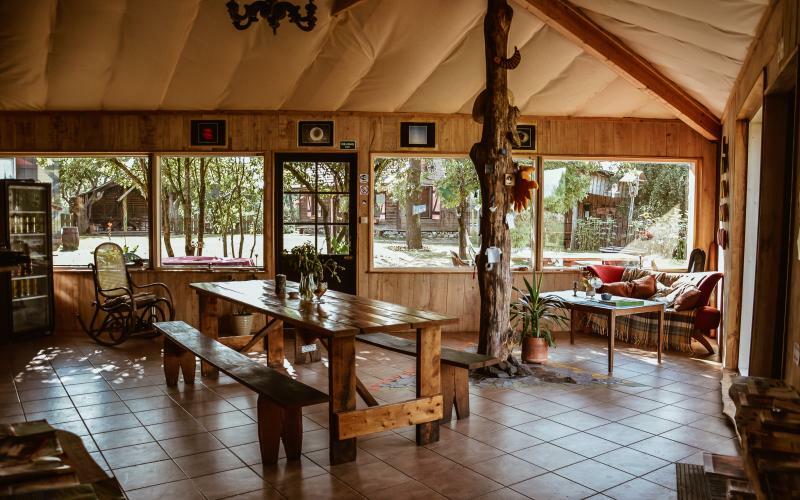 Together with the buildings, nature and hand-made decorations, it creates an athmosphere which combines traditional lithuanian and hippie culture elements in a warm and colourful way. The Camping & Hostel grounds are home to a yearly Sunny Nights festival of music, arts and community. We'll be happy to show you around and tell about the story of this unique place. Also, there is a lovely pond near by with sand beach. Here at Sunny Nights Camping & Hostel we treat all guests with respect for their style of traveling, resting and having fun. Our staff are friendly and eager to help you with anything you might need, so don't hesitate to ask! We are dedicated to keeping an inviting and cosy athmosphere and will do what we can to make your visit here relaxing and one to remember. 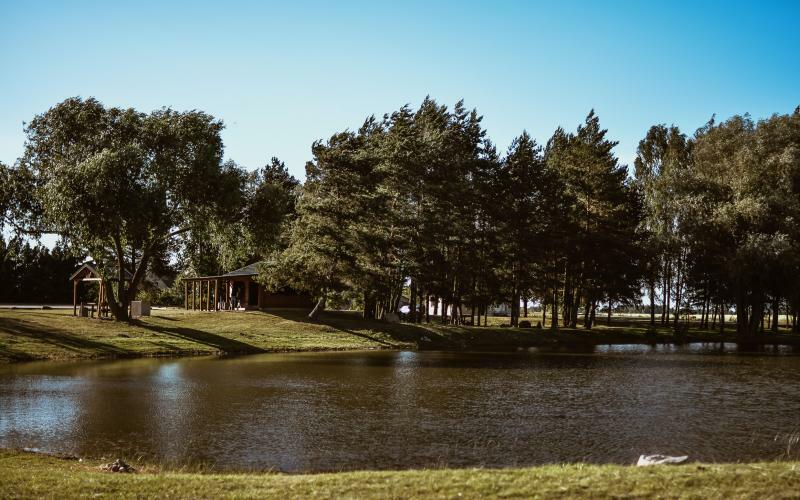 Our Camping & Hostel is located near one of travellers' favourite routes in the Baltics, with various things to see around by foot or by bike. The Hill of Crosses, a famous and strange landmark, is only an hour's bike ride away. We ourselves are travellers by nature and we will suggest you places to go, both nearby and further from our home. We offer an accommodation inside & outside. Campers, hitchhikers, motorcyclists, travelers with RV, hikers & cyclists are very welcome.